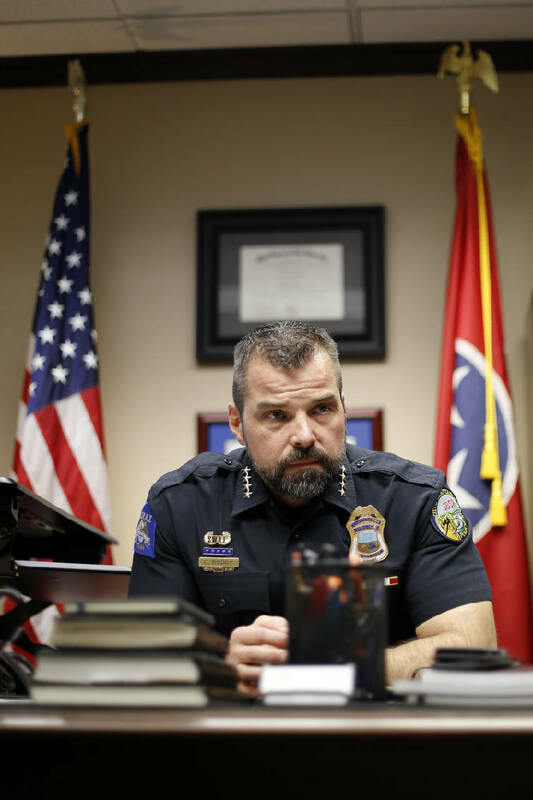 Chattanooga Police Chief David Roddy speaks with the Times Free Press in his office at the Police Services Center on Tuesday, Dec. 18, 2018 in Chattanooga, Tenn. Outgoing Gov. Bill Haslam has made an 11th-hour push for juvenile justice reform by creating an 18-member panel to oversee implementation of the Juvenile Justice Reform Act of 2018. Among the panel's 18 members is Chattanooga Police Department Chief David Roddy. The panel will review relevant policies, collecting and analyzing performance and other data, promoting consistent statewide implementation of the act and gathering feedback, according to the executive order establishing the council. Among those on the council, Roddy is the only police chief. "I am grateful and honored to be appointed to the Governor's Juvenile Justice Reform Implementation Council," reads a statement from Roddy. "The City of Chattanooga, Chattanooga Police Department and its officers have a special interest in working with and engaging the community's youth. I am hopeful my participation not only aids in the state's support of our children, but also enhances the initiatives already in place and developing in Chattanooga." Others on the council include doctors, lawyers, academics, and politicians. Up to 21 people can be on the council, the executive order states, and they should meet no less than twice per year. "This legislation was a positive first step and there is more work to be done with respect to juvenile justice and criminal justice reform in Tennessee," Haslam said. "This Council will help ensure that reform is pursued in a responsible manner, and judges and other juvenile justice system stakeholders will have a committed team with whom to collaborate on additional changes to strengthen families and make our communities safer." The Juvenile Justice Reform Act of 2018 is expected to improve outcomes for juvenile offenders and increase public safety. Additionally, the state budget now includes a recurring $4.5 million investment in treatment services for youth. Haslam's executive order will expire at the end of 2022. At that time, the council will cease to exist if the order is not extended.